I recently read Mikhail Bulgakovs novel about the devils visit to 1930's Moscow, and I really don't know what to think. It is undoubtedly a masterpiece, his portait of Yeshua Ha-Nozri (Иешуа га-Ноцри, Jesus the Nazarene) and Pontius Pilatus is eminent. But on the whole the piece is to political, to alegoric towards its time; and thus it has lost perhaps to much of its potence. 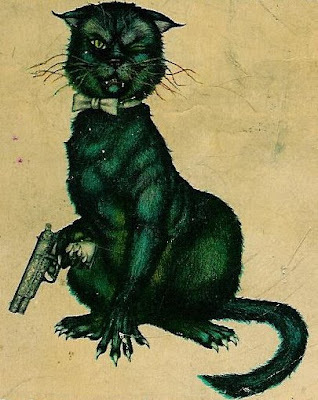 I, think, that while it is a worthwhile read for those especialy interested in Bulgakov, the era or somesuch; I'd advice the average reader not to seek it out - to only read it if the book crosses your path. This is Behemot, Satans little helper.